Apcom Czech s.r.o. is operating on the Czech market since 1996 and is an authorized distributor of Apple in the Czech market. Apcom Slovakia s.r.o. is operating on the Slovak market since 2006 and is an authorized distributor of Apple in the Slovak market. Apcom Czech s.r.o. and Apcom Slovakia s.r.o. offer both the latest and the current Apple products as well as a broad range of modern products of fresh brands. Apcom Czech s.r.o. and Apcom Slovakia s.r.o. are wholesale companies supplying only to authorized dealers. End customers are able to purchase the products we distribute at their local Mac or PC vendors. Please contact us to know the dealer near you. We are always available for your questions, requests and suggestions. Please use our contact form. We are glad that you want to become our new customer. Please note that we deliver to our registered customers only. Not available to end customers. If interested, read carefully the information document (in Czech and Slovak version only) and then contact us. 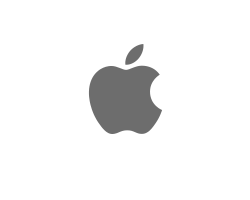 The companies are also members of the regional Apcom Group, which brings together Apple's authorized distributors in other European countries - namely Czech Republic, Slovakia, Hungary, Bulgaria, Romania, Croatia, Serbia and Slovenia.